Everybody loves social media, but nobody likes the maintenance that comes along with it. Trimming down your list of followers, trying to figure out who’s a spammer or just a long-lost acquaintance. It’s kind of a mess, especially on a service like Instagram. We’ve all been there: someone who seems interesting follows you, and you follow them. But they never comment on your photos, and just start clogging up your feed. 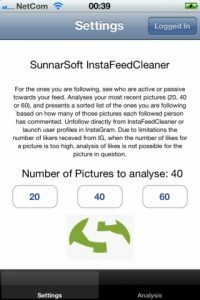 Want to see who actually comments on your photos and who is just collecting followers?InstaFeedCleaner, developed by SunnarSoft Ltd., is here to help. 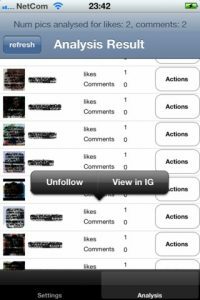 It’s a very cool way to quantify an online friendship, and those who you deem unworthy of your follows can be removed with a simple tap of the “Unfollow” button right in the InstaFeedCleaner app. Unsure about whether they deserve to be unfollowed? Click on the “View in IG” button to launch their profile in Instagram, and get a closer look. 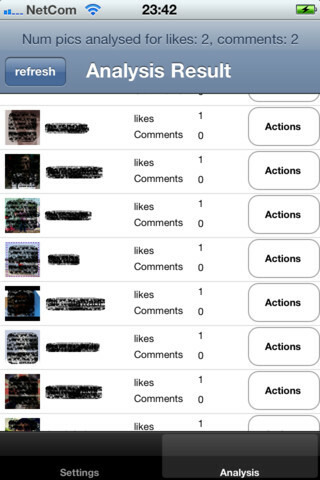 InstaFeedCleaner may not be the prettiest app, but it delivers quick, accurate results. At least, up to a point. In the past, when a picture had a very high number of likes, the results weren’t totally accurate. 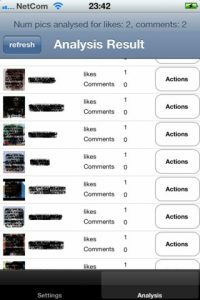 That’s been handled with an update in version 1.1, which deals with this issue from version 1.0 by performing the analysis on pictures where the full list of likers is received from Instagram. 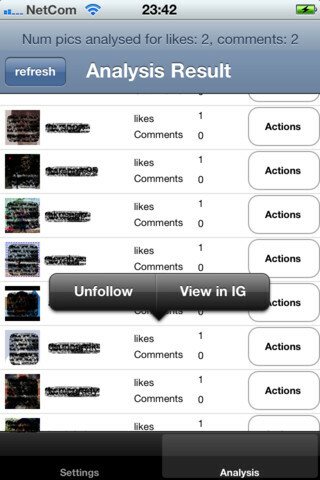 If you don’t mind the barebones look, InstaFeedCleaner is way faster than analyzing and deleting followers on your own. I’m not sure if $1.99 is the right price point, however: unless you are a heavy user, this price might be too high for casual Instagrammers. InstaFeedCleaneris compatible with iPhone 3GS, iPhone 4, iPhone 4S, iPod touch (3rd generation), iPod touch (4th generation) and iPad. 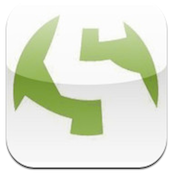 Requires iOS 5.1 or later.